This assignment is related to the case study of KARRICK Gold & Copper Ltd. (KGC Ltd), a listed mining company in Australia. 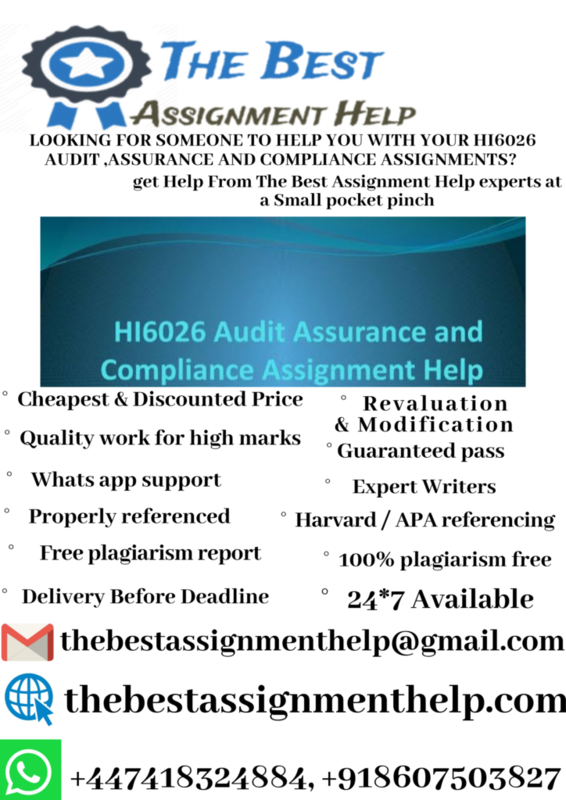 The assignment discussed about the elementary steps required to be considered before acknowledging to start an Audit process. The report also evaluated the acceptance of Audit commitment based on the inherit risks faced by the firm, audit plan, concerns related to the audit and their associated tests to resolve the concerns and discussing the future prospects of the firm. For over 30 years, the case company (KARRICK Gold & Copper Ltd. (KGC Ltd), has been involved in large Open Cast (Pit) gold and copper mine in the Star Mountain Range of Papua New Guinea (PNG). The Star Mountain Range is located on a very remote areaof PNG and is rich with exotic plants and animals’ species. The first step to consider before accepting an audit engagement is to evaluate the integrity of the management of the firm, which involves evaluating material mistakes and indiscretions (and scam) because these are likely possibilities when there is a dishonest management (Boynton et al., 2005). During this step, the auditor emphases on classifying the targeted handlers of company’s financial statements. The legal obligation experience of the auditor may differ based on the targeted statement users, particularly with reference to the usual negligence of law negligence (Boynton et al., 2005). Evaluating which personnel will be selected for conducting the Audit (Boynton et al., 2005). This step involves evaluating the independence of an Auditor during the Audit process (Boynton et al., 2005). Preparing the final letter for engagement which acts as a contract between the firm and the auditors (Boynton et al., 2005). Inherent Risk: Inherent risk is the risk that items may be misstated as a result of their inherent characteristics (Martinov and Roebuck, 1998). In this situation inherent risk is 80%. Detection Risk: Detection risk is the risk that the audit testing procedures will fail to detect a misstatement in a transaction or in an account balance (Mohseni, 2014). In this case the detection risk is 50%. In order to consider whether the audit firm accept the audit engagement or not is depend on the Audit Risk. Audit risk is the risk that the auditor reaches an inappropriate conclusion on the area under audit. This means that auditor accepts that there will be a 4% risk that audited item will be mis-stated in the financial statements, and only 96% probabilities that it is materially correct.in this case the audit firm can accept the audit engagement but needs to extend it work in order to reduce the probability of audit risk. c) Audit Program for the KGC Ltd. Following should be included in an audit program for the KGC LTD. Mine in PNG. Review pertinent financial information for any unique or unusual items relating to the entity. Gain knowledge of the area being audited by reviewing related documents, conducting interviews & observing the processes & functions. Obtain the organizational chart of the area being audited and the job descriptions of staff members. List the major segments/processes of your review below and reference to the detailed narratives or flowcharts for each. Include completed samples of input & output documents, forms & report. Include source on samples. Obtain auditee sign off on narratives and flowcharts to ensure accurate representation. the disposition for each actual practice listed as appropriate from one of the following: report without testing, Detailed Fieldwork Program reference or no further action (NFA) as outside scope or immaterial. Prepare a summary of proposed modifications to the audit scope & objectives & prioritize the objectives in order of significance. Develop the Detailed Fieldwork Program to include test steps for each objective as well as the sampling plans. Estimate time for audit steps & calculate completion date – document detailed time on by step and total time and the deadline on I. B. Reference the applicable audit steps on the risk matrix. If necessary, draft proposed revisions to budget & report due date & submit or approval – include on this General Audit Program. If there are revisions to the audit scope, objectives, report due date or other areas of significance based on preliminary survey, prepare a memorandum to the attendees of the Entrance Conference to communicate the changes. Prepare a Conclusion Summary for inclusion in the report for items which will not be addressed in fieldwork & discuss with operating manager(s) & obtain signature(s). How often are audits on the company’s finances conducted? When was the last audit performed? By whom was the last audit performed? Were past recommendations implemented? If not, what were the reasons? What is the company’s perceived internal control strengths? Are there any weaknesses that require additional audit testing? Obtain a copy of the National Staff Personnel Policy Manual (if available). Obtain a copy of the Company Accounting Policy Manual (if available). In connection with the review of deposits in the cash area, reconcile the deposits to the receipts recorded;determine the nature of the various sources of receipts and any unusual recording procedures, entries, etc. Determine whether a listing of all assets owned is maintained. Verify whether the assets are registered to CRWRC. If not, state the reasons. Determine whether the company has obtained adequate insurance on these assets. For any assets purchased, determine whether proper authorization was received. For assets over $1,000.00, obtain copies of the invoices which adequately document the purchase. Determine whether there is appropriate security over mission assets. This includes documenting previous history of theft. Is there appropriate technical support? What is the existing practice of updating virus protection? How often do system back-ups occur? Where applicable, verify the value of the intangible assets with patents and other third party documents. Cancelled checks for agreement of endorsement, payee, amount, etc. Supporting invoice for agreement of description, amount, date, and account classification. Proper authorization in accordance with agency policy. List any items noted above and follow up by discussing with the company treasurer/director with the supporting documentation. How does the company determine if a vehicle is necessary for the work of the missionary? Do all missionaries on the company have a mission vehicle? If some do not have a mission vehicle, why not? What policy does the company have regarding the replacement of mission vehicles? How available, efficient, and costly is public transportation? Is the mission’s mileage policy being followed? How does the budget evolve on the company? How are the approved guidelines used in the process? Has the company prepared contingency plans, should decreases be needed? What difficulties are experienced in the formulation of the plans and budgets? Do company staffs have any suggestions on how to make the procedure more effective, efficient, and accurate? How the company doesdetermine the exchange rate used for the annual budget if budgets are reported in local currency? What laws does the host country have in regard to currency exchange? Is the company’s current practice in compliance with these laws? What are the current practices of the missionaries for obtaining local currency? Obtain a listing of the tuition, fees, and boarding costs charged by each of the approved schools. What procedure is followed in determining which school is approved? If boarding is needed, what are the choices? Include costs. What procedure is used in the purchase of international air tickets? Who purchases the tickets and where are they purchased? Is a price check made with the Grand Rapids and/or Burlington office to determine where the tickets could be purchased for the least amount? How is personal international travel arrangements handled? Any positive/negative comments on the American or Canadian policies currently being used? What method is being used by the missionaries to forward their claims to Cambridge or to the Canada office? What medical costs are still being incurred by the mission? How are these being accounted for? Did the company employ any of the missionary spouses? If so, what policies govern the remuneration given? Does the company have an education policy for its missionaries? What policies govern the cost for the annual spiritual retreat? What is considered mission expense and what is personal? Does the company feel that ORC’s current cost-of-living allowance accurately reflects the economic conditions within the country? If the company is currently conducting its own cost-of-living survey, when was the last survey conducted? Does the mission provide grants to any these? If so, what are the amounts? What procedures and controls are used to ensure the funds are used for the intended purposes? Are grant amounts properly recorded on company financial reports and in the CARL system? PCD-funded projects must be recorded separately from CRWRC-funded projects. Are mission funds used to address the benevolent needs of the community that the missionaries may face each day? If so, is there a company policy? Following are the major concerns and tests that should be perform to resolve those concerns. To resolve these concerns auditor should perform the following steps. In order to address the concerns, the auditor can expand the number of tests of controls in the Audit scope. The auditor can also carry out control tests on the firm’s internal control system and assessing its efficiency to define the level of risks involved. Mining companies including KARRICK Gold & Copper Ltd. (KGC Ltd), today, face a difficulty of problems: spiralling costs, government intervention, deepening pits, lower ore grades, and declining productivity are just some of the issues. Communities are not trusting mining, and this creates additional uncertainty. It is harder to find and start a mine than ever before. Combine this with today’s capital environment and struggling commodity prices, and it creates a very difficult picture. Through advances in scientific research and development and technological innovation it can address the challenges that not only hinder the productivity of the industry but of the country, such as rising energy costs. It can drive the growth of a new mining services sector that helps to diversify the economy. It can take a leadership position on issues such as environmental and social sustainability. Changes such as these will be vital for ensuring that Chile remains a key player within the global mining value chain over the coming decades. However, this sort of progress will not be possible without successful collaboration across industry, government and the research community. There is a need for these different stakeholders to unite behind a shared vision for the future of mining in Chile and work together to move towards this ideal. As the company dumped 5 million pond litters of ore-waste sludge into a river from which two local villages draw their drinking water, fish, hunt, harvest lotus root and water their taro root, yam and cassava crops, we will not sign-off that statement as being true and fair. Boynton, W., Johnson, R., Kell, W. and Boynton, W. (2005). Modern auditing and assurance services. New York: Wiley. Martinov, N. and Roebuck, P. (1998). The Assessment and Integration of Materiality and Inherent Risk: An Analysis of Major Firms’ Audit Practices. International Journal of Auditing, 2(2), pp.103-126. Mohseni, A. (2014). Audit Risk Assessment and Audit Sampling. Saarbrücken: LAP LAMBERT Academic Publishing.